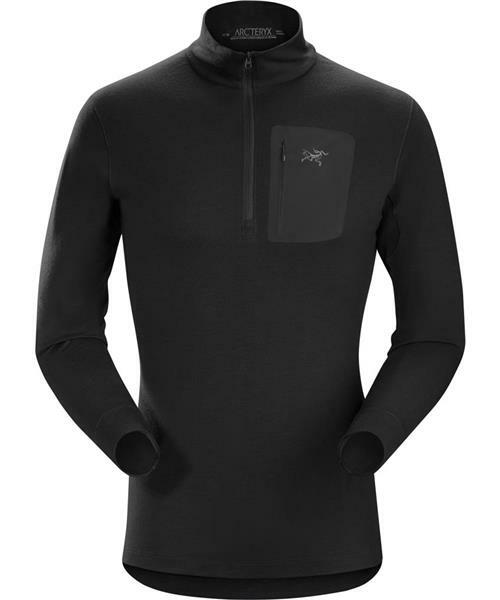 A heavyweight Merino wool base layer, the Satoro SV Zip Neck's warmth and natural anti-odour properties make it ideal for a wide range of cold weather activities and prolonged backcountry use. The next-to-skin fit elevates thermal efficiency and speeds moisture transfer, and elastane fibres help maintain shape. Articulated patterning and gusseted underarms add freedom of movement, and thumb loops secure the sleeves. The tall collar seals in warmth and unzips easily for rapid ventilation.